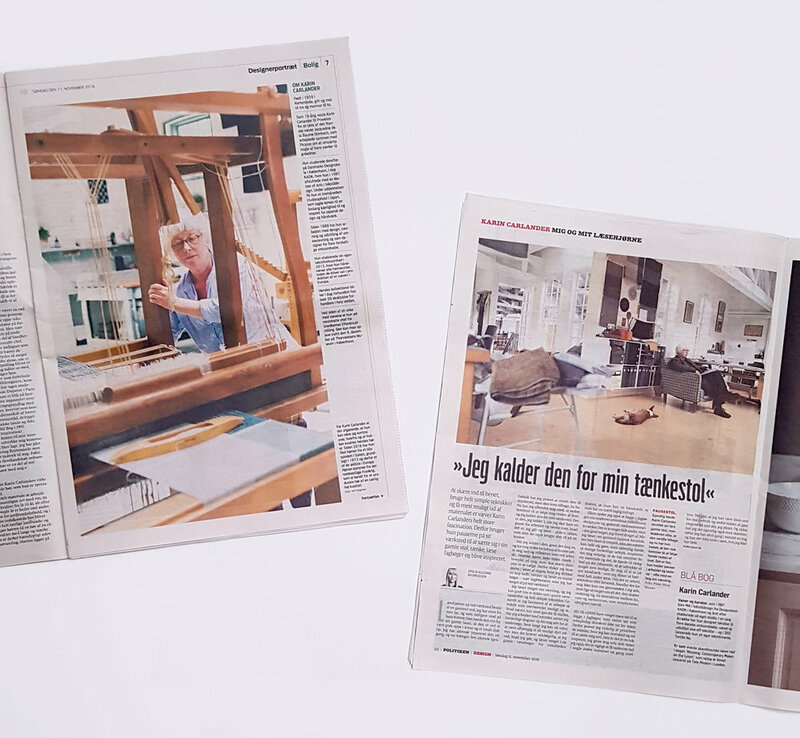 Thank you Astrid Ellemo from Jyllands-Posten and Emilie Kleding Rasmussen from Politiken for writing about Karin Carlander and her work. Read the article from Jyllands-Posten here. The article is in Danish and requires subscription to Jyllands-Posten.